Welcome to Charter School of New Castle! We are eager to partner with you and your student(s) to ensure overall success and I am excited to serve as the school leader for our middle school campus. As our name denotes, Charter School of New Castle is committed to building strong relationships with our families. Through weekly parent bulletins, report card conferences and regular teacher-parent communication, we seek to establish productive and long-lasting partnerships with families as we know that these partnerships are a key ingredient to the personal and academic achievement of our students. At Charter School of New Castle, we are also committed to ensuring that our school-wide systems and expectations create an academic atmosphere which leads to student learning success. While serving as an instructional leader of a nationally-recognized charter network, I learned that the combination of consistently maintained systems and intentional instructional planning are a recipe for success. It is this recipe that we are committed to implementing with fidelity in order to ensure that our students are ready to perform at a high level in high school and beyond. In order to kick-start our commitment to this recipe, our dedicated leadership team spent significant time over the summer developing strong school-wide systems and routines. Every staff member has committed to reinforcing these systems daily in order to create an environment that is conducive to learning at a high level. Additionally, our dedicated staff underwent an intensive 2-week long summer training which focused on building a strong and positive student culture inside the classroom as well as planning rigorous lessons that drive student learning and overall mastery of academic concepts. Throughout the year, staff training is prioritized as our teachers participate in both individual and group professional development regularly. Finally, we are committed to ensuring that our students are invested in and excited about attending Charter School of New Castle. At the middle school, we have dedicated time and resources to increasing our after-school program offerings from prior years. This year, students have the opportunity to participate in cheerleading, Kung Fu, math league, basketball, volleyball and many other programs which appeal to a variety of student interests. Within the school day, all students participate in our Jag Card Incentive program in which they can win a series of prizes and rewards for demonstrating positive behavior. At CSNC, we are ALL IN and ready to take it to the next level. We have the right team, it is the right time and we are on our way! 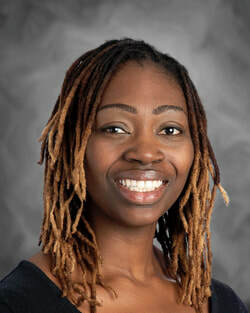 LaRetha C. P. Odumosu, Ph.D.